OK, let's say that up until now, your Uncle Ned has done all your ski tuning- then he hands the job off to you- but without the tools. What do you need- if you have nothing? I have used online links. I try to buy what I can in town, but not everything is available. You should at least 1 Brass Brush, 1 Stiff Nylon, and 1 soft Horsehair (for overlays). this is a dual purpose tool. It can replace the scraper above. So this blog post started with some Race Video of 1 of our Junior racers. I saw a funny "hitch" happen in their skiing when the heel was weighted. I have had the same thing happen to me- when the tail of the ski is railed- so I knew that I must check the flatness of the skis in question. I checked the skis today and found them to be quite railed (also known as "edge-high," or "concave base") at the tail- and the flatness of the bases was inconsistent over the entire length of the ski. So what does this Inconsistent Flatness do to the tune? It pretty much ruins it. A ski cannot be properly beveled until it is flat- because the bevel tools rest on the base. What does it feel like? A concave ski is EXTREMELY unforgiving of fore-aft balance and edge angle mistakes, and it can even CAUSE TECHNIQUE ERRORS because the ski will not behave properly. So how do you diagnose and correct flatness problems? Everything I did on this pair of skis is explained on other blog posts, but I will try to condense the process here. Look for pictures after the text. 1.) Determine flatness with a True Bar. I used a feeler gauge as an auxiliary tool in this case. I like using a feeler gauge along with a True Bar because it is a more objective way to measure how flat a base is- and how much work is required. I use a .001" feeler for this work. By experimentation, I have learned that I can feel as little as .0015" variation, so I try to get our skis (and the skis I work on) within .0005". That way, I KNOW they are great! 2.) "Zone" the ski. This means marking the ski into "Work Zones." When I find only part of a ski needs work, I mark that "zone" with wax. Then I work on the marked areas of the ski until the entire ski is uniform. 3.) Flatten the base/edge by removing material. I have found a Base Flattening File, Ray's Way Flattener, and Ski Visions Base Planer are an extremely effective combination of tools to do this work quickly. 4.) Repair Structure with a hand stone and/or sandpaper. 5.) Blend new structure into old with brushing/polishing. 6.) Blacken the edge.I have covered this topic previously, but I will show pictures again. It is VERY difficult to see how an edge is changing when you are working on it. Blackening the edge with a Sharpie is a big help. 6.) Bevel the base edge. 7.) Rip the side wall. 8.) Bevel the side edge. 10.) In my shop, a ski this good gets a sticker. Edge is nice and black before filing. The marque of Blind Speed. Alright- I am using my Base Welder WAY more this year than I have in the last decade. I am happy I still have it, but I SURE WISH I did not have to use it so much! So what can do to get through tough years like this one? 1.) Keep a stock of older, useable skis. I am well known as a strong advocate of keeping racers on the RIGHT Gear- not just the cheapest available skis and boots. Athletic Careers are short, I think you should make the best of the years you have. BUT- when years get rough (like this year), it is important to downshift expectations a little bit on training days so that the racers will have SOMETHING decent for those precious race starts. Tired race gear has very little resale value. Keep a good stock around and use the older skis to help keep the new skis nice. 2.) Dodge, Duck, Dive and - Dodge (the 4 rules of Dodge Ball) all rocks. This MAY mean that you avoid some training days (or nights) altogether. Or, it may mean you hike and/or download to avoid the rocks and dirt patches. Just be as smart as you can about it. Besides- crashing on rocks hurts a lot more than falling on snow. I do not recommend you try it for yourself. Daily maintenance is even MORE critical on low-snow year. You will be shocked by the amount of damage that can happen in just 1 run, much less 1 day. 4.) Order new skis early. Ski Manufacturers are building less race skis these days. Make sure you test and decide on brand, models, and sizes by June (the beginning of the new Race Season to me) and order by July. You will have all the skis you need by August or September if you do, and you will have much less stress. All your ski prep can be done WELL before the snow flies. See you on the Sunny, Dry NW slopes! So- you have those Race Skis RAZOR sharp now to deal with the ice, right? So now what do you do: ski on them, dull them, re-bevel or what?! My suggestion is a little bit of all three. You already have Soft and Hard Slalom and GS skis right? Well, if you do, they should be in varying states of tune: High side bevel angles and SHARP for ice, lower side bevel angles smooth (but not too sharp) edges for softer conditions. Why? Because Over Sharp edges are SLOWER and MORE DIFFICULT to ski on in soft conditions. It is almost always true that bases are faster than edges. Going straight is faster than turning. And any un-needed sharpness will tend to slow the ski down because the ski will hook up more than is ideal for speed. Also, a bit more base bevel tends to let a ski "float" a little bit more on soft snow and not hook up so fast- which makes the ski more forgiving and faster. Time to break in the racers a little bit. The kids need to know how to ski them, and you can make any fine adjustments to the tune and/or setup once you've used them a little. Whatever ski you use, gummi stone the edges enough that the sharpness burr is about half gone. Whenever possible at this time of the year, make your final tuning and waxing decisions AS LATE AS POSSIBLE. That way, you can adjust as conditions change. If your skis are sharp from last weekend, keep them sharp in the morning, let the kids try them, then reduce sharpness and smooth/repair the edges at lunch. In this fashion, the racers will get to try the skis in a variety of tunes. You should smooth the edge, but remove the minimum material possible. The skis need to be preserved so that you can sharpen again later. Several times. New snow is more abrasive than old snow, so you should wax slightly colder than he thermometer would otherwise indicate. If you want more ideas, drop me a note! So besides using base/edge repair techniques that I normally do not have to, this season is also giving me the opportunity to experiment more with Edge Bevel- Base and Side edge bevel. This is very misunderstood area of Ski Tuning, so I will attempt to shed a little light on the subject. Base Bevel: The bevel angle chosen will determine the "ski feel-" forgiving vs. extremely responsive at the two ends of the spectrum. 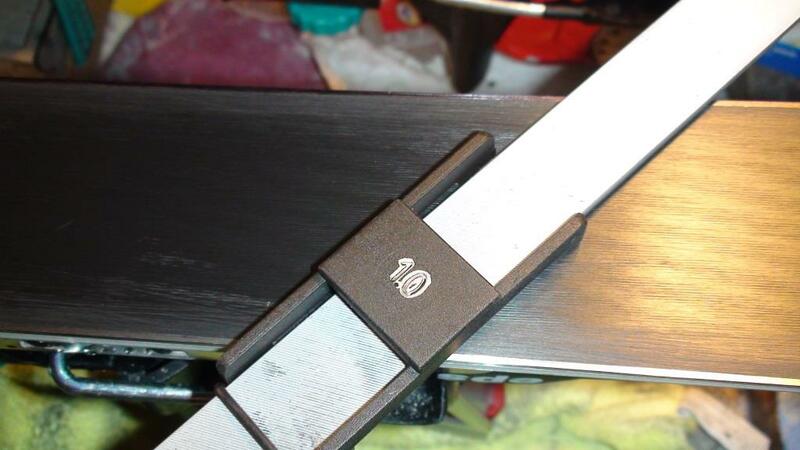 Side Bevel: This will determine the "power" of the ski- but with more power comes less forgiving- and less durable. 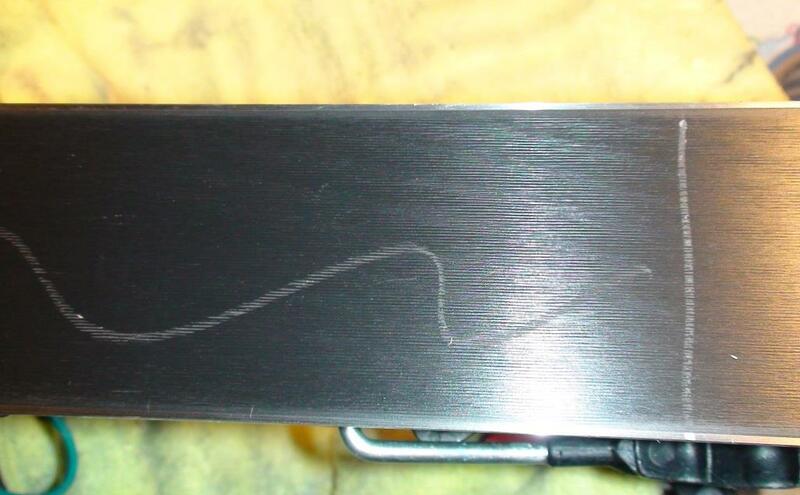 Remember: ALL SKIS MUST BE FLAT BEFORE BEGINNING BEVELING. The bevel guides rest on the base so if the base is not flat, the bevel will not be accurate. Youngest skiers (age 1-5 skis <110 CM): 1 degree base bevel, 1 degree side bevel (90 degrees)- and gummy-stone the edges down to remove the “edge.” All burrs should be eliminated. These skiers need a very friendly, forgiving ski. Keep the skis flat, structured and well waxed too so that they will glide and turn as easily as possible. Young Hot Shot (age 3-6 skis 110-125 CM). Same tuning specs as above, except you can leave the edges a little sharper- only gummy stone them to smooth the burrs. Wax every day, and deburr the edges every day. Beginning Racers (age 6-8 skis 120-130 CM): If your young racers are beginning to use Race Style skis, you can begin to introduce acute angled edges. Stay with a 1 degree base bevel, but use a 2 degree side bevel. 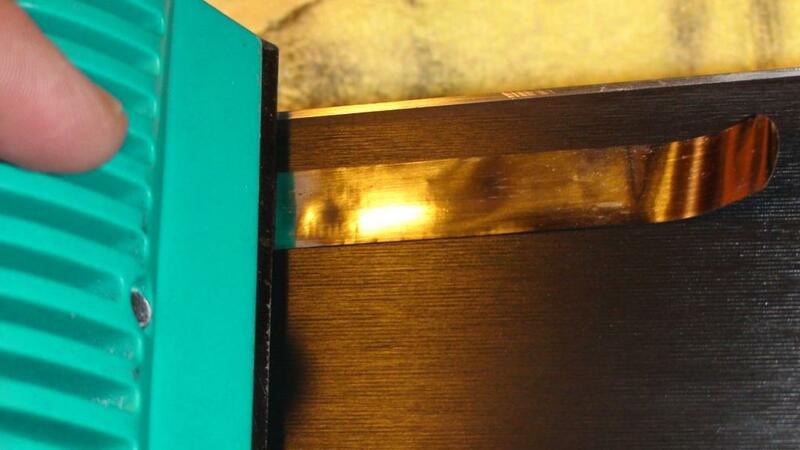 Smooth with a gummy after sharpening, but make sure the edge stays fairly sharp. 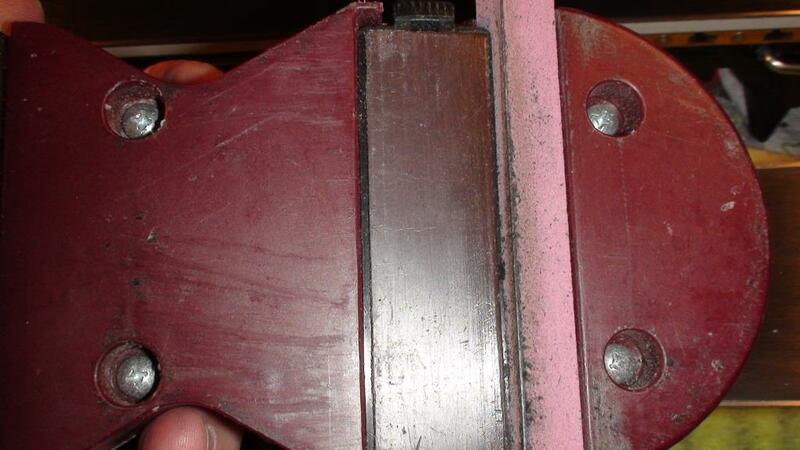 Developing Mighty Mites (age 7 -10 skis 125-150): 1 degree base bevel. The older, stronger skiers (of this group) can use a 3 degree side bevel- BUT ONLY IF THE SKIS ARE NEW ENOUGH AND WILL NOT BE HANDED DOWN. 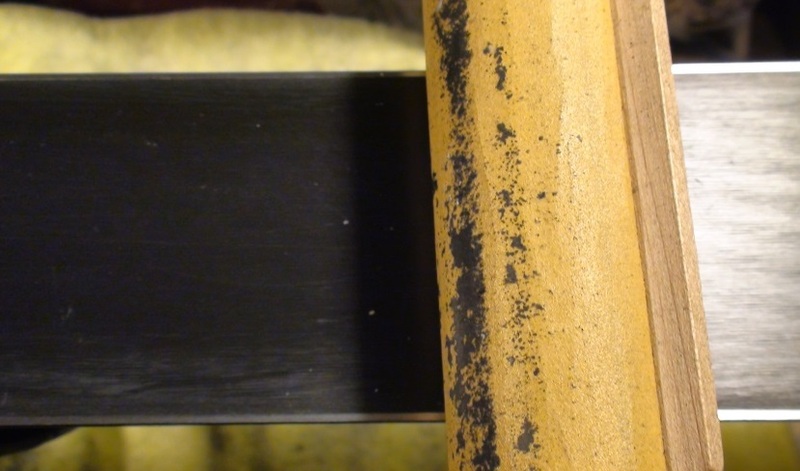 A 88 degree edge (90 – 3 + 1) is more fragile and will require more frequent sharpening, so the life of the skis will be reduced although the performance will increase. Stronger U12 and U14 skiers: Stay with a 1 degree base bevel until the skier REALLY is getting precise- coach guidance is advised. 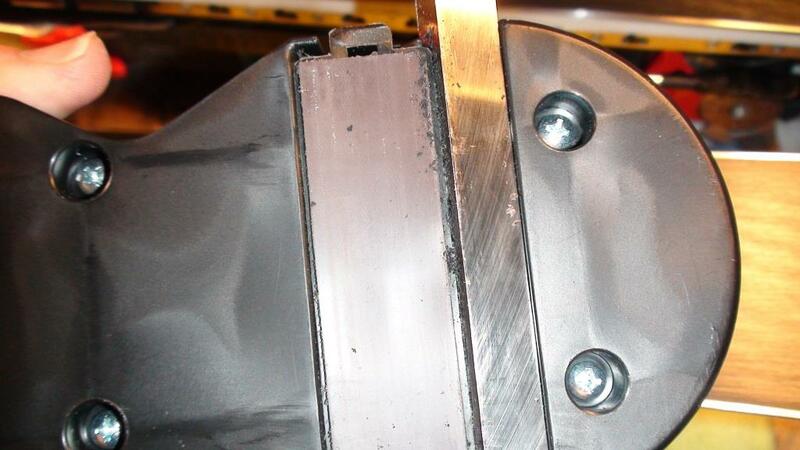 Side bevel at 3 degrees will give all the performance they need. If the skier is not yet carving strongly, the extra bevel may not be needed… but it DOES make carving significantly easier and the carving action more powerful. In other words, if you have a casual racer more into the social aspect than the racing, use a 1 or 2 degree side bevel. These skis will be quicker edge to edge with LESS BASE BEVEL. The strongest skiers can use a 0.5 degree bevel- but the skis must be EXTREMELY flat, and they become very unforgiving. Most skiers should be on a 0.75 degree base bevel. Side bevel: 3 degrees is plenty for most. Keep the edge VERY Sharp in hard conditions. Base bevel .075 – 1 degree. Less bevel = less forgiveness. Side bevel: 3 degrees for 98 percent of skiers. Base bevel 1 degree. 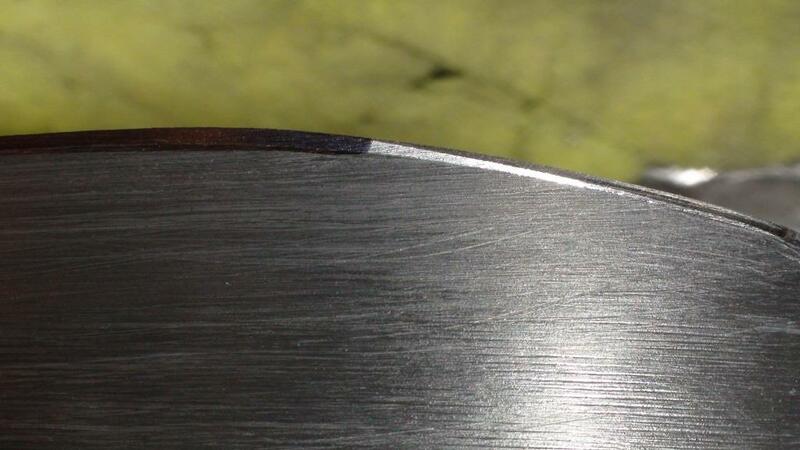 A “progressive bevel” can add forgiveness, but it complicate the tuning process considerably. Risks of High Bevel Angles ( <87 degrees) Ski life is considerably shortened, particularly in Slalom skis. The ski holds SO much harder that it twists and quickly fatigues. 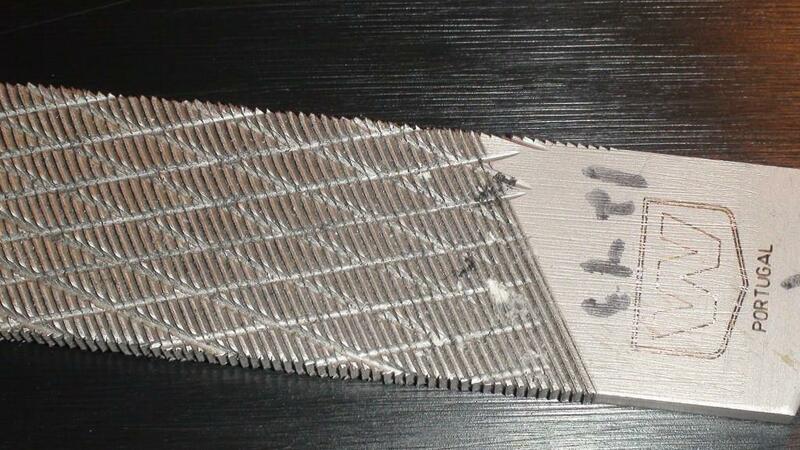 Also the edges are more fragile and require more frequent tuning. It is POSSIBLE to use a 4-5 degree bevel (on hard ice) and the performance of a fresh ski can be just amazing. But loads on the lower body joints are much higher too. Ankles can be injured unless ski boots are extremely precisely fitted. Knees can be injured unless the skiers is very strong and very confident. And if the ski comes off and hits you, those sharp edges can do some damage. I recommend no more than a 3 degree side bevel until the skier has less than 90 USSA points in slalom and skis on hard snow a lot. You should have a quite a quiver of skis to work with at this point too- because the life of a slalom ski can be reduced to as little as 7-8 days on hard snow under the feet of a strong skier. I get questions and comments about this blog in wax rooms all the time- from CMAC people and others. They give me more ideas on which way to take the blog and what people are interested in. We don't have much snow in the Pacific North West currently, so I know people are looking at skis in sad need of work. LET ME HELP YOU! Don't be shy. I continue to bring many more ski, boot and binding tools than my son and I need to races and camps so that I can help. For a little while, I may carry my base welder along too, just in case. If you have a need, please look me up. I am pretty easy to find. Remember- there is a ton of archived information in the BLOG INDEX. I left some headers as teasers (such as several advanced entries) as I know some concepts are more effectively explained in person. So this is a timely subject I think. Saturday, I was handed some of the most rock-damaged skis I have ever seen. Multiple core shots on each ski, and most of those were over 12 inches long! Since the skis were only on their 3rd day on snow and seemed structurally fine, it seemed a shame not to repair them. 1.) Sand/Stone edges to remove rust and burrs- so that the edges do not destroy my tools. 3.) Use base welder to fill in BIG holes. 4.) Use planer to remove excess p-tex. 5.) Stone/file/smooth side and base edges to restore edge finish/sharpness. 6.) Sand/brush/polish/restructure damaged base areas. 7.) Wax, scrape, brush and polish base. Next, I will ski them side by side with brand new identical skis. If they pass my Ski Test, they will regain their place in The Family Quiver. Update: I skied a couple runs on the skis and they seem pretty good. For sure they are suitable as trainers. But it was so rocky I had to work on them some more. This will be a good season to learn how to repair gear. I have tried almost everything out there. These work the best for me. 2.) A file, a couple stones, some lubrication and a cleaning brush. This is my favorite overall stone. The file is a medium-duty, high quality file. The gumi is to give a better final finish. Starting out, a good iron is needed. A digital iron is wonderful, but a bit of a luxury for most people. The Wax Wizard pays for itself the first day you use it with expensive waxes- like fluros. HUGE subject. Here are some simple suggestions to get you started: Buy warm, cheap hydrocarbon wax for general ski cleaning and prep. 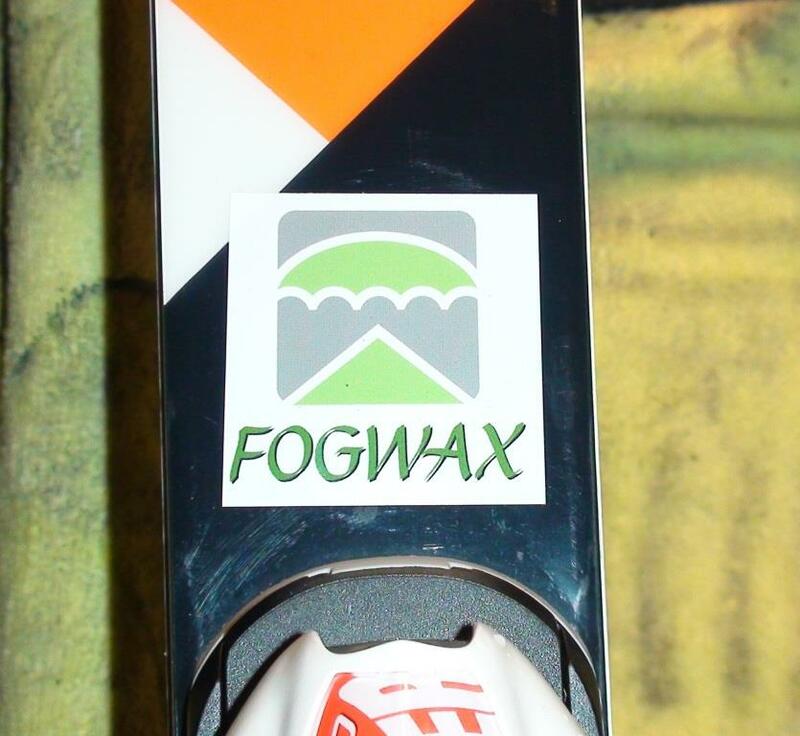 Find a univeral temp low fluro wax for entry level racing. There are MANY approaches to benches and vices. I own several, and I have built many more. If you want my opinion just ask! See you on the hill- Sun Peaks is coming SOON!! Hi Y'all! Hey, do you know about the US Ski Team's Dartfish TV? Lots of great videos, including this series about boot selection, fitting, etc. You may have to cut and paste these links into your browser. Coaches- I hope you are looking at this stuff for your racers and parents. Parents- please start with your kids' coach when thinking about boots. The coaches know their racers' skiing, and usually have some opinions about boots. Even if they are not comfortable on that subject, chances are they have a boot fitter referral or 2 they can give you. And of course, you can always ask me too- although I may not give you a quick answer or recommend the cheapest solution. A few ski companies (Rossignol and Dynastar currently, and their Junior skis in particular) are finishing their skis using a process that creates EXTREMELY hard ski edges. This might be a good thing- if you could use the skis "straight out of the box," but these skis also come quite concave, and with minimal side edge bevel. In other words, they NEED work in order to ski properly. These hard edges will destroy even the best, hardest, and most expensive files- in just a few minutes- and the edges will still need work. So what can you do? Well, you can (of course) hand the skis off to a shop and let them do the dirty work. But, if you need to (or prefer to) do the work yourself? The trick here is cheap and simple, but time consuming and potentially hazardous to your fingers: Use strips of sandpaper to condition (soften) the edges BEFORE using stones or files.Cut 150-220 grit paper into 1/4 inch strips and sand the edges until the surface is ready. I will add pictures to show you what it should look like. Be sure to wear cut-resistant gloves since you will be pushing against the edge with your fingers and thumb.